Guy Montag is a fireman. He carries out the worthy duty of burning books. This is important because books contain subversive message that threaten the peace and stability of society. But then Montag starts to have second thoughts. Is he really doing the right thing? Clarisse: Tell me, why do you burn books? Montag: What? Well, it’s a job like any other. Good work with lots of variety. Monday, we burn Miller; Tuesday, Tolstoy, Wednesday, Walt Whitman, Friday, Faulkner; and Saturday and Sunday, Schopenhauer and Satre. ‘We burn them to ashes and then burn the ashes.’ that’s our official motto. Clarisse: Even with my eyes closed, I could tell what you do for a job. Montag: Because of the smell of kerosene? Montag: Quite a scent, isn’t it? My wife doesn’t like it very much. She says it lingers. I don’t mind. I think of it as a… perfume. Clarisse: Tell me, that number you all wear, what’s it mean? Clarisse: Why 451 rather than 813 or 121? 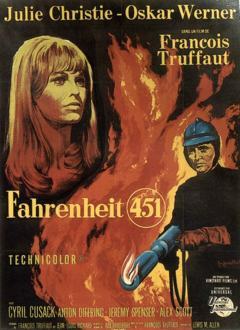 Montag: Fahrenheit 451 is the temperature at which book paper catches fire and starts to burn. Clarisse: How did it come about? How did it begin? How could someone like you be doing this work? I know everyone says that but you – you’re not like them. When I say something to you, you look at me. Why did you choose this job? With you it doesn’t make any sense. Guy Montag: Do you remember what you asked me the other day: if I ever read the books I burn? Remember? 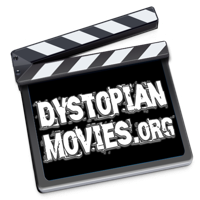 Guy Montag: [holding a book in his hand] Behind each of these books, there’s a man. That’s what interests me.